‘Pre-Budget rally’ might be the buzzword for the stock markets. However, the markets have historically trended better after a Union Budget. 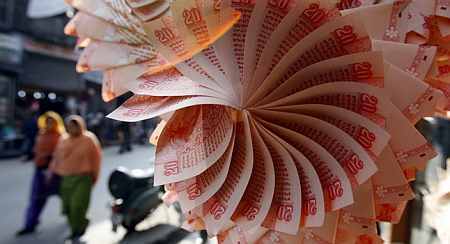 The average return for the Nifty one month, two months and three months after a Budget has been 1.4 per cent, 2.1 per cent and 5.3 per cent, respectively, show data compiled by Elara Capital for Budgets since 1999. Interestingly, the Budget has proved a negative event from the market point of view one month prior to the event. Over the past 15 years, the benchmark NSE Nifty has delivered a 1.6 per cent fall a month prior to a Budget. And, a mildly positive return of 1.1 per cent two months prior. As for the post-Budget period, two out of three times, the market has delivered positive returns two months after one. The returns have been positive 53 per cent of the time a month after a Budget and 58 per cent of the times in three months afterward. With a negative return two out of three times a month prior to a Budget. The performance two months and three months before the event has been slightly better, with positive returns on more occasions. "A key material data point is that foreign investors have been secular buyers both pre-Budget and post-Budget, with the exception of 2009," say Harendra Kumar and Bhawana Chhabra, analysts at Elara Capital. Says Deven Choksey, managing director, K R Choksey Securities: “The market has a tendency to consolidate before a Budget session. "It typically gives high returns in subsequent months.” Pankaj Pandey, head of research at ICICI Direct, believes the period prior to the announcement is “a non-event” and the market starts reacting only after a Budget. In sector performance, after a Budget, the banking, infrastructure, metals and oil companies tend to do well. For instance, the average return for banking stocks three months after the Budget since 1999 have been over 10 per cent, compared to five per cent for the Nifty. Returns for metal, infra and oil stocks have also been in the 10 per cent range. In a sign that investors turn captious ahead of a Budget, only fast moving consumer goods and information technology stocks manage to give positive returns a month prior to a Budget. Banks typically fare the worst. It is similar this time. The BSE Banking index is down 6.5 per cent in the past month; those of FMCG and IT stocks are up 6.6 per cent each. Analysts believe the spotlight will be on infrastructure, metal and banks after the Budget. If the government is able to control the fiscal deficit and shift focus back to reforms and growth, these sectors will outperform this year, they feel. Rail Budget: Will Suresh Prabhu hike fares?